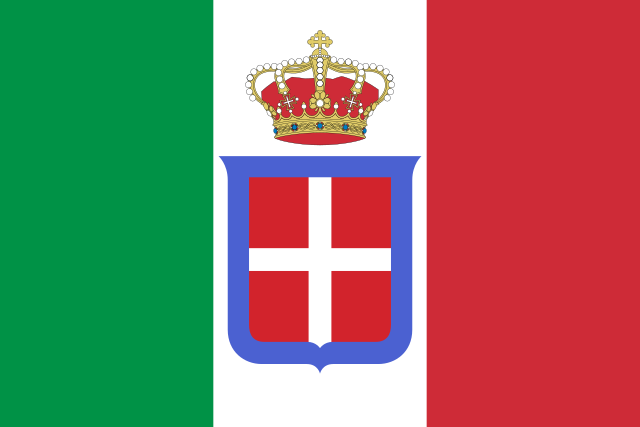 Fitxategi:Flag of Italy (1861-1946) crowned.svg - Wikipedia, entziklopedia askea. Crowned flag of the Kingdom of Italy (1861-1946), alternative to Flag of Italy (without crown). Use: State flag and naval ensign. In a governmental or a military context, the crowned version was always used (as State flag and naval ensign).